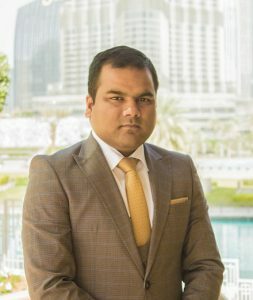 Ramada by Wyndham Downtown Dubai announces the appointment of Mohit Saini as its new revenue and reservations manager. Saini brings in a decade of experience in the field of hospitality, specialising in revenue management. Before joining the property, he held the same position at Roda Al Murooj Hotel and Apartments. He moved to the UAE after working in different five-star hotels in India including The Leela Ambiance Convention Hotel, Radisson Blu Kaushambi Delhi NCR, The Westin Gurgaon New Delhi and The Westin Sohna Resort & Spa, and Taj Palace Hotel New Delhi.